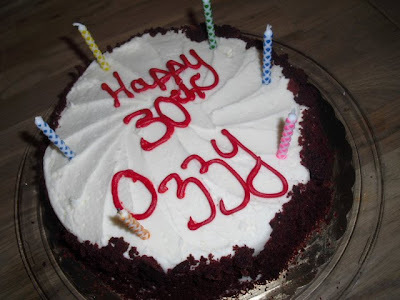 Our friend, Stephen celebrated his 30th birthday this week. 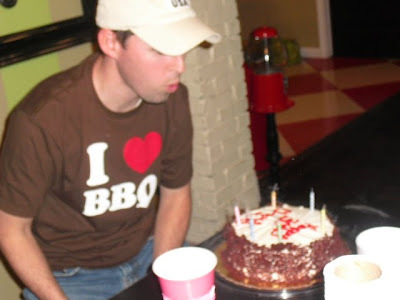 All he wanted to do was come over, sit outside, and stare at the smoker and eat some BBQ. He has had a stressful few months. Courtney and Stephen had twins right before Christmas and the twins are winning. Actually they are doing a fabulous job and they make twins look easy! Marcus makes the best BBQ in the whole world. 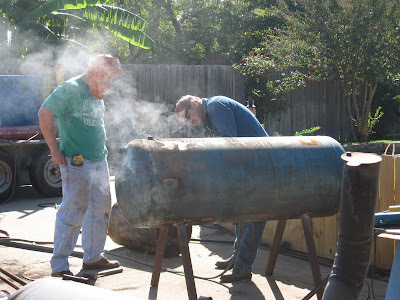 Here he is making his giant smoker a couple of years ago. It has been around the block a few times since then. 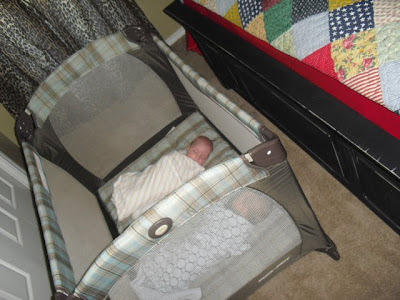 Here is a picture of the actual twins taking a nap in my guest room. 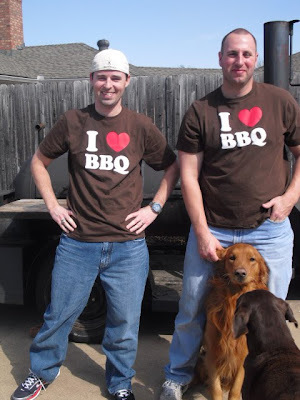 They are almost as cute as Stephen and Marcus in their matching shirts. I bet he wished for this babies to start sleeping through the night! I didn't get a picture of the girls. oops. Courtney and I did watch The Office though. Did you see it?! We were stressed the whole time! The part that resonated with me the most was when Kevin was talking about 1st breakfast and 2nd breakfast, and 1st lunch and 2nd lunch and so on. That is so right where I am right now. I start the day at 5:00 am and eat some cereal, go back to bed, wake up and have my second breakfast. And then it seems like constant eating for the rest of the day. Sometimes I actually get sick of eating! I never thought that could happen. 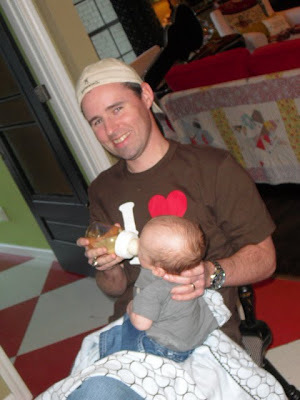 I told you this baby was a miracle! I thought the same thing! Sounds like y'all had fun and those babies are so cute! I thought the same thing!!! Funny!! Dina- I thought your holiday open house was such a FABULOUS idea I decided to host a spring one myself. I am wondering if you send out invites, and if you had any catchy verses that you used on it. I am having a hard time!! Any advice/suggestions would be most appreciated! !